Have You Been Wearing Your Jean Jacket? As I was putting away my clothes, I realized something, I have 5 jean jackets. The great thing, they're all so different from each other. It just goes to show that it doesn't matter what style you rock, or what mood you're in... there's a jean jacket for you. Geri of Because Im Addicted. 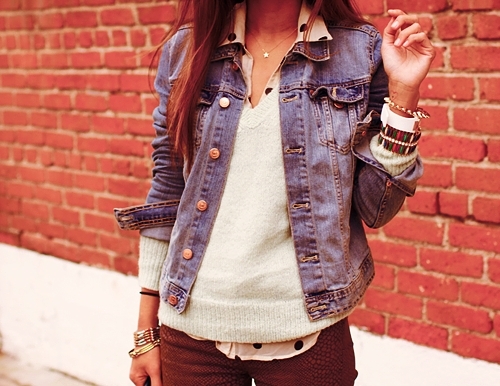 I love her style and how she paired the long shirt with the short jean jacket. 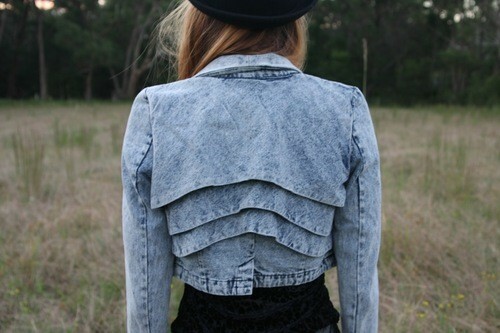 This is my staple Summer Jean Jacket. It's all about the gold detailing. Best assortment of jean jackets I've seen!